Bremner first became known playing with The Luvvers, who served as Lulu’s backing band and also recorded a single (“The House On The Hill”/”Most Unlovely”) for Parlophone in 1966. In 1971 Bremner added some guitar work to March Hare, the first solo album from ex-Honeybus member Colin Hare. He then became a member of the Neil Innes band Fatso, which went on to record the soundtrack for the original Rutland Weekend Television series. As “Bill Murray” he released two singles produced by Kris Ife; “Downtown hoedown”/”Rhyme and reason: (1977) Polydor 2058 881, and “Heart and the Stone”/”I Don’t Wanna Be No Hero” (1978) State records 72. Next, he joined Rockpile, who only released one album under their own name, but also served as the band for most of Nick Lowe’s and Dave Edmunds’ albums in the 1970s. In addition to his guitar playing, Bremner occasionally sang lead, as he did on “Heart” and “You Ain’t Nothing But Fine” on the 1980 Rockpile album Seconds of Pleasure. He also wrote Edmunds’ hit “Trouble Boys” (which Edmunds would let him sing live), but used an alias, Billy Murray, on the writing credits, so as not to be confused with the more famous Scottish footballer, of the same name. After Rockpile split in 1981, Bremner released two solo singles on Stiff Records “Loud Music In Cars”/”The Price is Right” (BUY 125) and “Laughter Turns to Tears”/”Tired and Emotional” (BUY 143). Bremner then played lead guitar on The Pretenders’ 1982 hit single “Back On The Chain Gang”/”My City Was Gone” and later provided lead guitar for their 1990 album Packed!. Bremner released his first solo album, Bash!, in 1984, containing songs co-written with The Records’ Will Birch, and covers of songs by Elvis Costello, and Chris Difford and Glenn Tilbrook of Squeeze. Bash! featured a tight rhythm section of Dave Kerr-Clemenson from Fast Buck on bass and Terry Williams from Rockpile on drums on some songs; Bremner played all the guitar parts and sang the harmonies with Kerr-Clemenson. 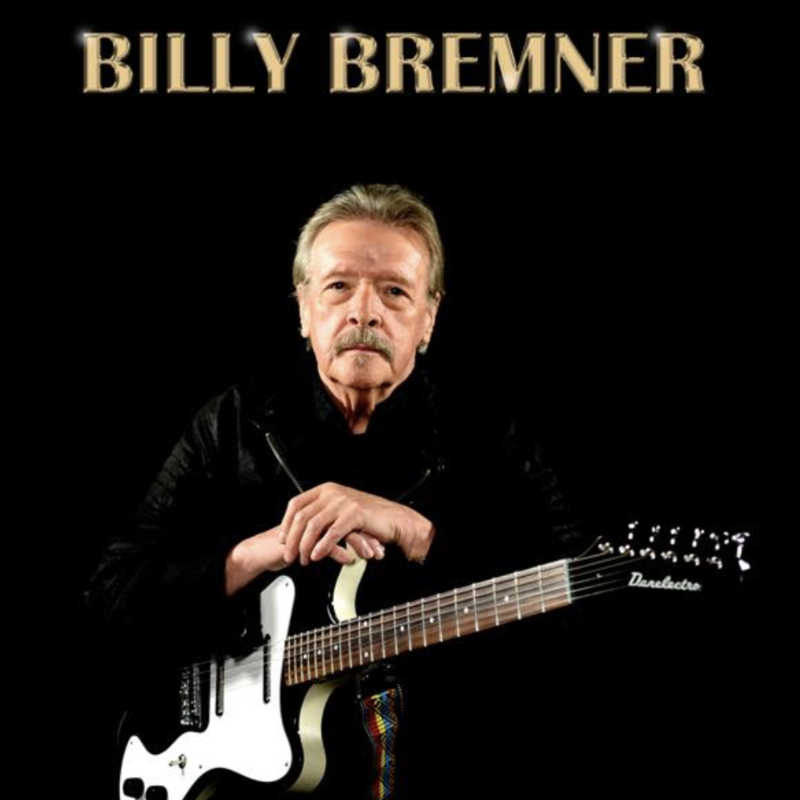 After stints in Los Angeles, California (where he played in the bands of Pat McLaughlin and Rosie Flores) and Nashville, Tennessee Bremner moved to Sweden in the 1990s where he met The Refreshments, producing and playing on their album It’s Gotta Be Both Rock ‘n’ Roll. A second solo album, A Good Week’s Work, followed in 1999 and a third No Ifs, Buts, Maybes in 2006, both recorded in Sweden. Billy has been heavily in demand as a session player since leaving the Refreshments but in 2011 formed supergroup, the Trouble Boys in Sweden with legendary rocker, Sean Tyla. They released an album, ‘Bad Trouble’ in September 2011.